Add oats, milk and cinnamon to a saucepan and bring to the boil. Reduce heat and simmer 3 – 4 minutes until thickened, then stir through half the diced papaya. 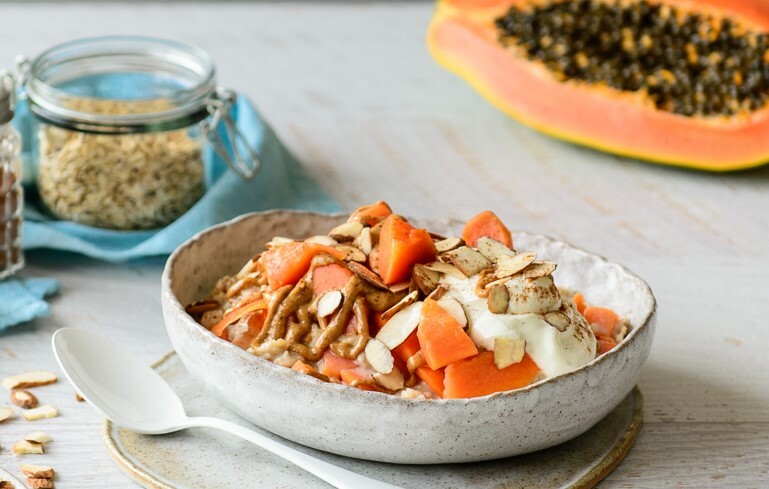 Spoon porridge into a serving bowl, top with almonds, almond butter, yoghurt and remaining papaya. Different styles of oats require different amounts of liquid. If you prefer a thicker porridge, or aren’t sure about the brand in your pantry, start with a bit less liquid then add more as it cooks.